Morland is a primary door manufacturer and participating member of the BWF Certifire Fire Door and Doorset Scheme. As such we are rigorously third party audited, providing security and peace of mind for customers who specify our products. 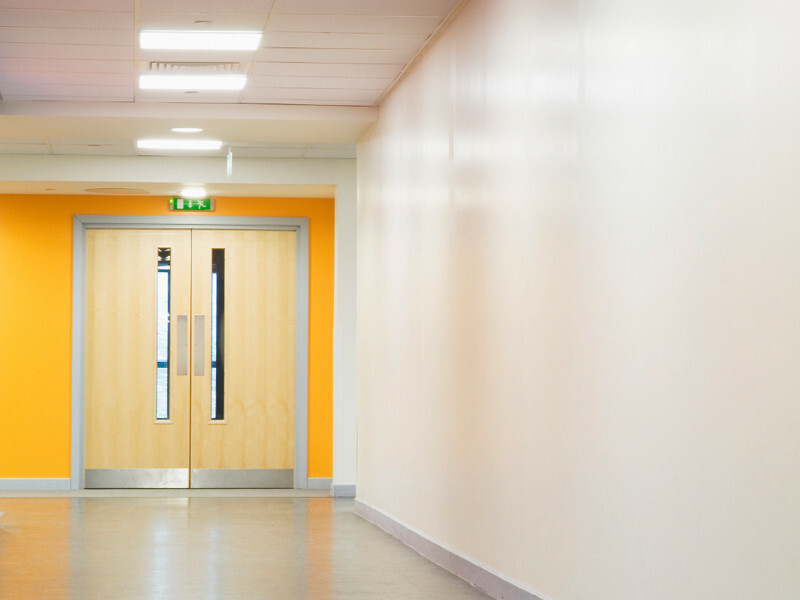 Since fire doors are a vital safety device engineered to save lives and property, the correct specification, fitting and maintenance are crytical to modern building construction and the responsibility of each and every person involved in the process from specification to maintenance. Morland strive to make this process both easy and cost effective for its clients saving you both time and money whilst also providing you with assurance that the products will perform as expected when it matters most. For further information on the Certifire scheme, please click on the logo below. The BWF-CERTIFIRE label provides traceability through the supply chain, ensuring the manufacturer can always be contacted if further information on the fire door is required. The Scheme has a variety of labels to suit the ratings and requirements of different jobs. Labels should NEVER be removed from the door. The label displays the member’s name and phone number, and, where applicable, the certification number, a unique serial number and the door’s fire rating. THE BWF-CERTIFIRE traceability label provides a system which allows manufacturers, convertors, installers, inspectors and clients to check on the history and correct use of the door. By using the unique numbering system it enables any person to follow the processing of the door AND to check if the door has been used in the correct application or configuration according to the door’s fire test evidence and certificate. The Primary Fire Door Manufacturer – will start by putting a label on the top edge of the fire door indicating the door’s rating and test evidence. The CF number on the label is the door manufacturer’s certificate number for that particular door design and can be used to check that the door has been specified and installed correctly. By using the unique number on each label, the manufacturer will record where the door has initially been sold to. 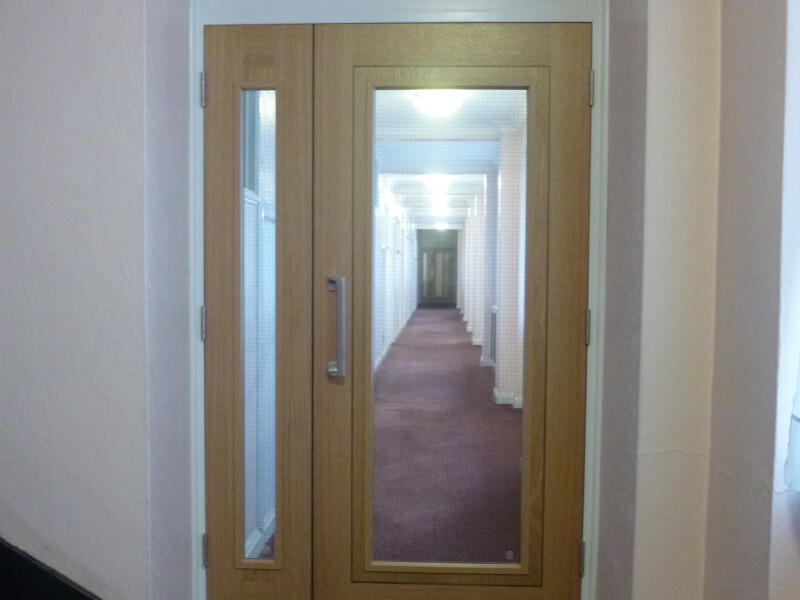 Glazed aperture doors – If a Licensed Converter then makes any adjustments to a fire door, such as fitting a vision panel, they will attach their own label next to that of the manufacturer and record where the door has then been sold. If the door has been altered, such as by fitting a glazed vision panel, and does not carry a second label, then, unless this process was undertaken by the door manufacturer, the door certificate may be invalidated. Unauthorised cutting of vision panels on site is prohibited. 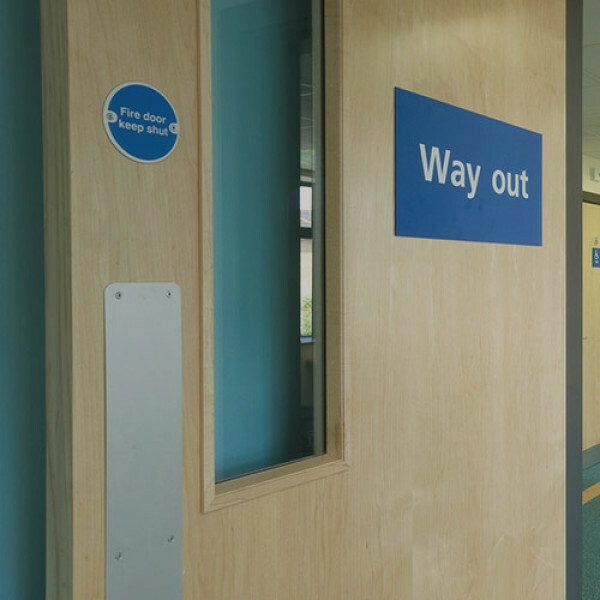 Morland fire doors are compliant with Part B of Building Regulations. They are tested in the UK to BS476 part 22. The Global assessment Chilt/A13085 rev C gives the full details. Morland has PAS23/24 Secured by Design approval for door sets. At the time of writing, Egger doors have not been incorporated into that scope, but this will be included in due course. Tested to BS EN 1192/DD171 Severe Duty. For many years BS DD 171 : 1987, provided the frame work to which doors and door sets could be tested and evaluated. This standard is now superseded and strength and durability are now classified and tested by European standards. Morland doors are compliant with both sets of standards.